Workforce Portal is a brand new application that is available to all of our employees. This convenient mobile application makes it easy for employees to request shifts, update availability preferences, and view schedules. The following blog post will give you some information on what the application will help you to do, and how to use it. 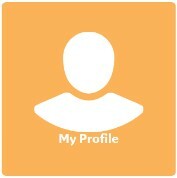 Workforce Portal allows you to set up a personalized profile. Start by creating an email username and password. Then, you can personalize your preferences. 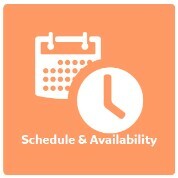 These preferences allow you to choose the locations and times that you wish to work your shifts. Here, you can set your maximum distance that you would like to travel. You can also set the times of day that you would like to work and the preferred length of your shift. These options are customizable and work to be flexible with your busy life! Similarly to how your profile allows you to set preferences, requesting shifts works the same way. Just enter the time period that you are looking to work (days, weeks, or even just weekends), and then the distance that you would like to travel. Our internal database will search for shifts based on your preferences, and you will be shown what is available to you on your dashboard. 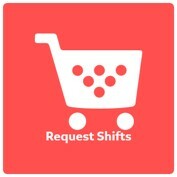 To request a shift, just click the checkbox and you are good to go! Under this feature, you will be able to see all of the shifts that you are scheduled to work for a given week. Here, you can also mark the days that you are not available to work. This feature helps to keep you organized. You will always be able to what you have planned for the week! This new technology is very exciting. We are looking forward to implementing it here at Northeast Med Staff. 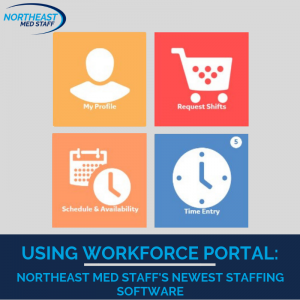 If you are having trouble accessing Workforce Portal, or if you need any additional help once on your account, please visit us at www.NEMedStaff.com, or call our in-office number at (978) 455 – 6907. 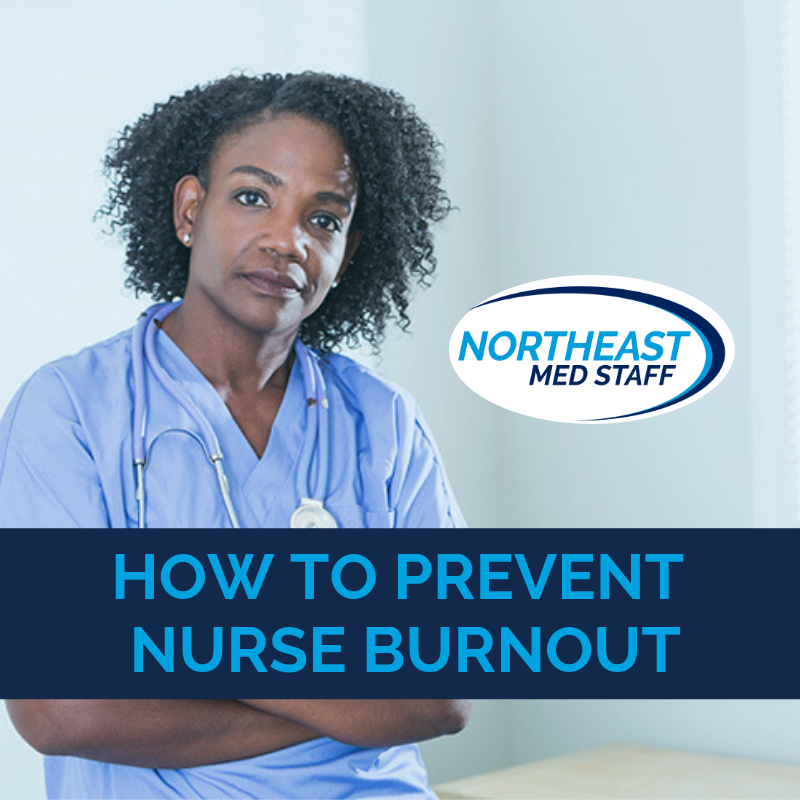 As many as 34 percent of hospital nurses and 37 percent of nursing home nurses report feeling burned out. Burnout for nurse aides and CNAs is also very high, leading to turnover of around 43 percent. For someone that works in the healthcare industry, its important to take the steps to prevent burnout before you start suffering its effects such as chronic fatigue, feeling of apathy, physical illness, etc. We’ve compiled some of the most effective ways for eliminating nurse burnout, that you can implement into your everyday routine. In nursing, there is a lot of pressure to pick up extra shifts or to work additional hours. From time to time, this is okay. What’s wrong with a little extra money in your pocket? However, constantly overworking yourself is one of the biggest cause of nurse burnout. When you really don’t feel like working overtime, say something. You’ll be glad that you did once you’re able to get a few, much needed, extra hours of sleep. It’s easy to get lost in the minutiae of your day to day routine. Find some little things to find joy in throughout the day. Maybe it’s listening to your favorite songs on the way to work, or enjoying the weather while walking into your facility. If you don’t reserve time to do the things that you want to do, then other people and activities will take over your time. Remind yourself that this is your life that you’re living and that you deserve to set aside time to do the things that you’ve always wanted to do, but never have gotten around to it. You spend the entirety of your profession caring for others. Now its time to make it a goal to set aside time for self care on the daily. There are many ways that you can practice self care from giving yourself a spa day, to doing a yoga class, to learning a new hobby. Whatever refuels your energy, make time to do it! What initially sparked your interest for being a nurse? Who was one of your most memorable mentors? What was one of your biggest impact on a patient or resident? Find a token that represents these moments to hold with you every day so that you can remember these moments. These are the moments that will spark your passion and remind you to keep going. Hobbies and interests act as a getaway from daily hardships. One or two days a week, reserve some time to do the hobby that takes your mind off of things. You’ll wake up the next day feeling refreshed and ready to take on the day. How you maintain and nurture your health can have a big impact on your stamina. Poor health leads to getting burned out faster and for longer periods of time. Once you start making healthy choices, you’ll feel way more energized and have the ability to take on those long and stressful shifts. 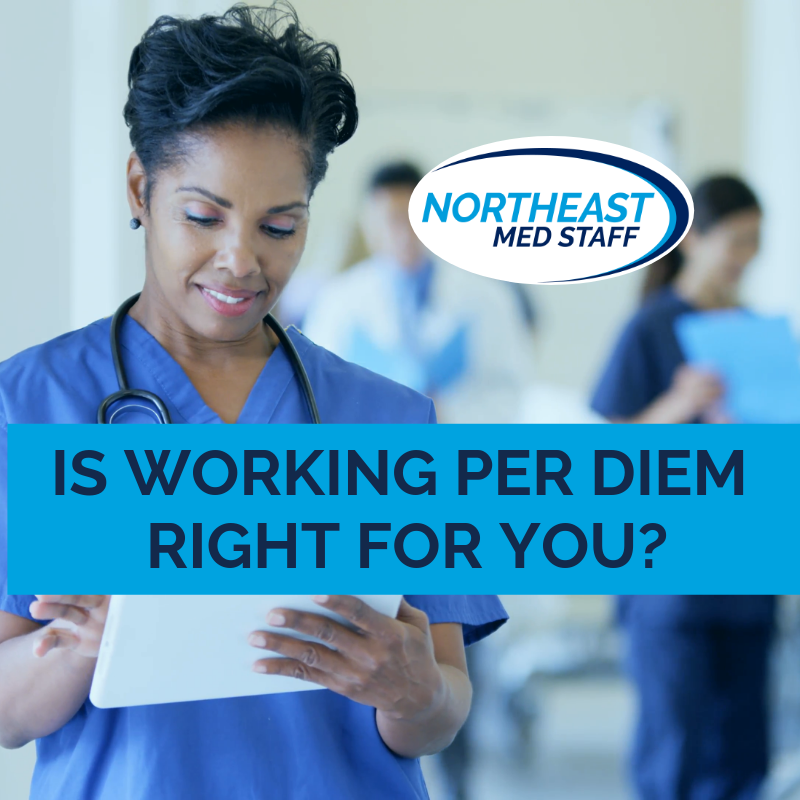 Working per diem allows you to be in charge of your schedule. Work the shifts you want, at the facilities you want. Having a flexible schedule is extremely valuable to those in the healthcare industry, because it’s something that’s not always an option when working full-time. Work per diem and take control of your work-life balance. Nurse burnout has a serious impact on nurse turnover, patient satisfaction, and the quality of patient care. As a whole, those in the industry should take more steps to actively avoid burnout. This way, we can maintain our passion for caring for patients and residents, while providing a safer experience for everyone involved.